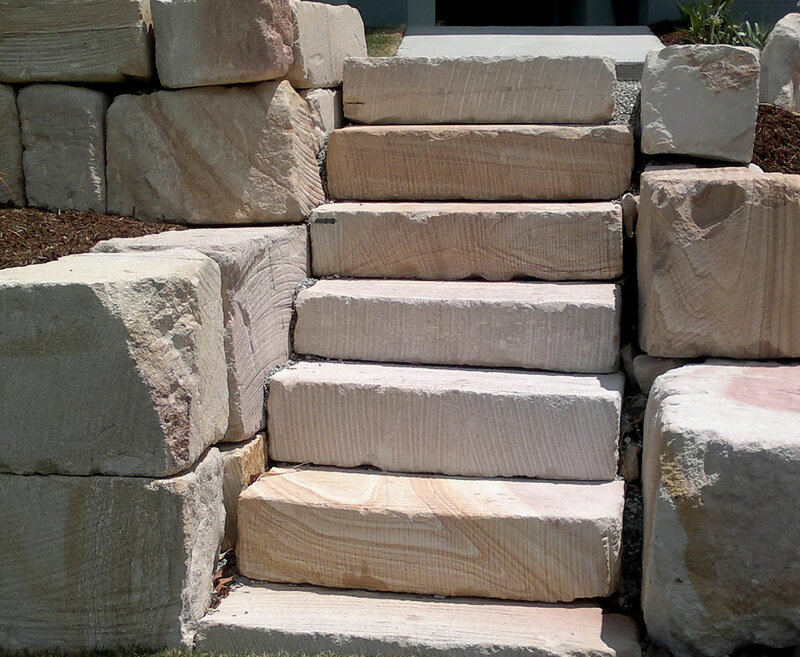 Our experienced masons and builders use quality sandstone boulders, A & B grade sawn blocks, bush rocks, blue stone and hand-tooled stone mason walls for a rock retaining wall. 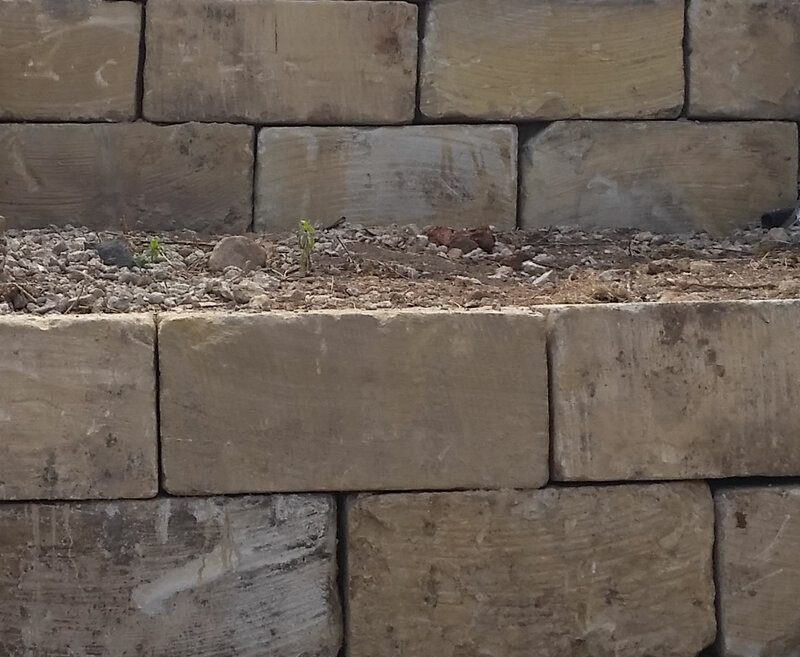 A quality, long-lasting rock retaining wall, including interlinking block, timber sleeper, concrete sleeper, block and brick, rock and stone mason walls, house pads, all with engineer certification. Our excavator and bobcat skills give us the ability to carve out and model your landscape. Whether you need a tiered garden, garden steps or a house pad cleared, we can assist. Welcome to Wise Landscape Solutions, affordable rock retaining wall specialists servicing Brisbane and the Gold Coast. We make a consorted effort to ensure our premium quality landscaping services don’t break the bank. 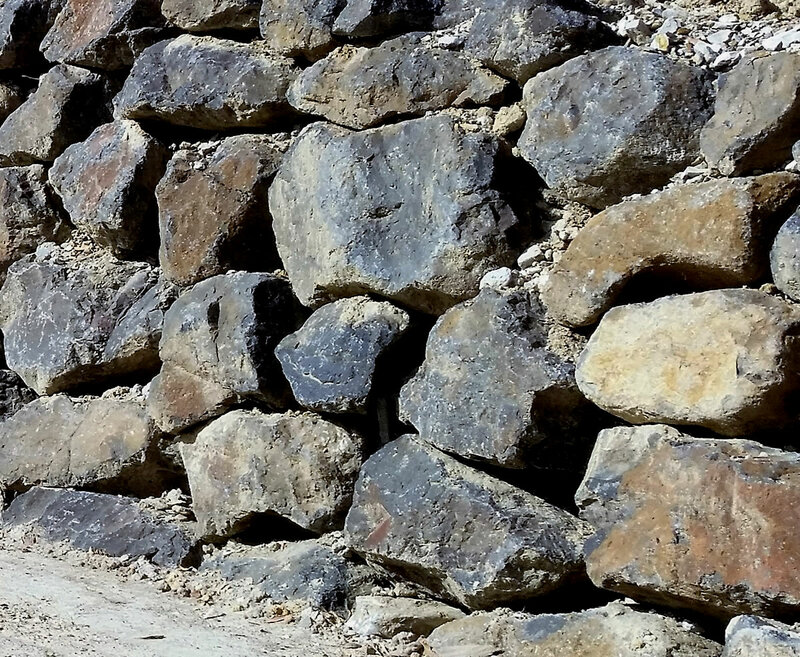 Our rock walls and landscaping services are constructed by our experienced builders and masons that use only the best quality stone and fencing products. You can expect attention to detail and a reasonable price when dealing with us. Wise Landscape Solutions also provides a wide range of other specialised landscaping services. We work on residential or commercial properties, with no job too big or too small. From land clearing, excavation, house pad cutting, stone steps, large retaining walls, cosmetic sandstone walls and landscaping, rock gardens and machinery & operator hire, plus much more. Our nearest and most popular locations are Nerang, Advancetown, Gilston, Maudlsand, Mount Nathan, Pacifc Pines and Coomera, but Contact us today to see how we can help on your project wherever you are from Ballina to North Brisbane. 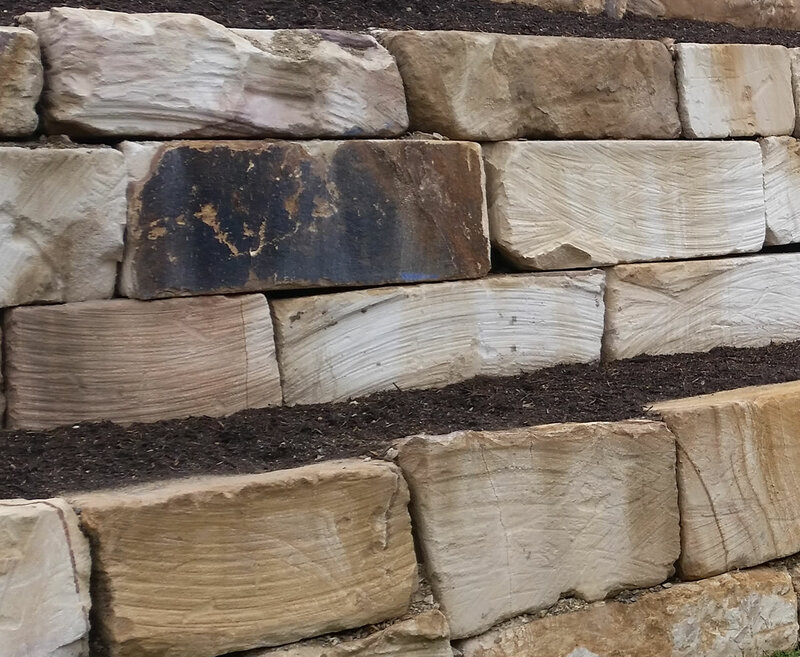 Wise Landscape solutions specialise in rock and sandstone retaining walls. Unlike some of the larger outfits on the Gold Coast and in Brisbane, we are affordable and offer a personalised service to work with you closely to find an option which suits your budget. You can rest assured that quality will not be compromised, as we only use the best products and are experienced masons. We build walls for houses that are fully engineered-certified and built to last. We can also replace an existing rock retaining wall. We build our exceptional rock walls from sandstone boulders, A & B grade sawn blocks, bush rock, blue stone and hand-shaped stone mason walls. We can also take care of all other landscaping needs at the same time. 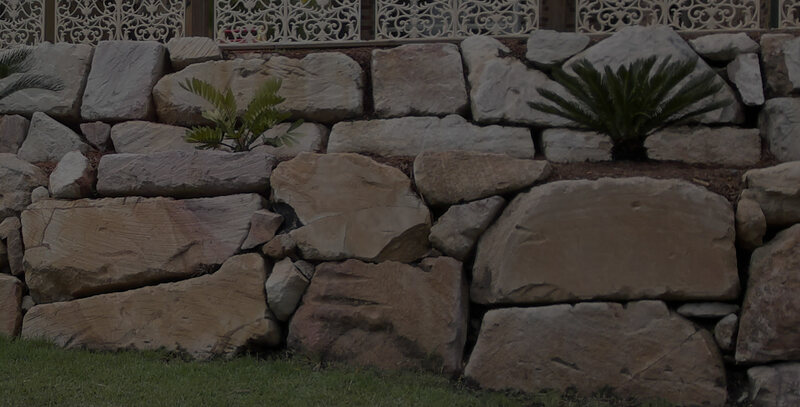 We offer you the best Retaining walls and rock walls services on the Gold Coast and Brisbane. 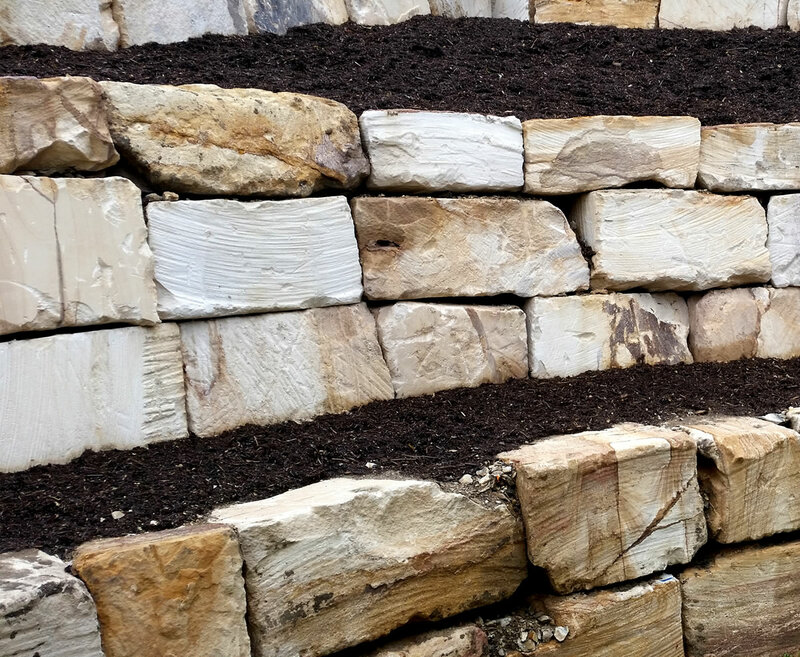 If you want the look of natural stone or rock for your home’s retaining walls, then bush rock is a good economical choice. If you have native plants in your garden or wish to build a bed for them, then use bush rock in order to complement your plant choices. 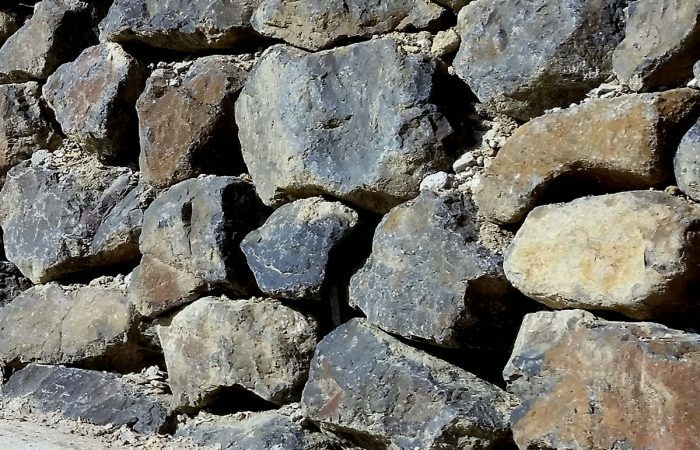 Rock walls can either be mortared or stacked, depending on what the landscaper thinks is best for constructing a strong retaining wall. The next step up from Bush Rock retaining walls is Sandstone Retaining walls. 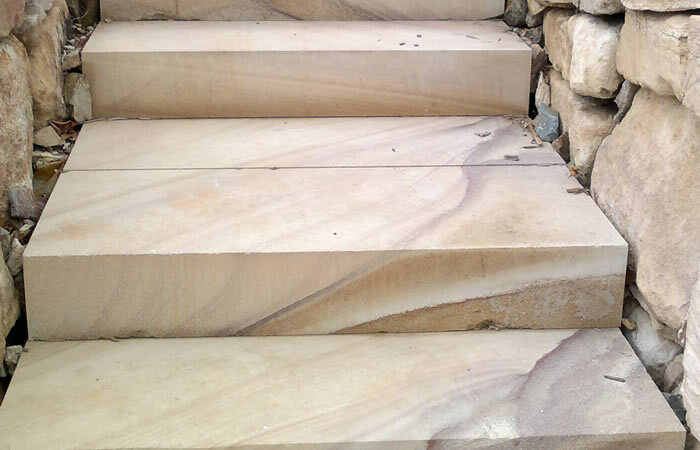 Sandstone is a very popular option due to its desirable colouring. 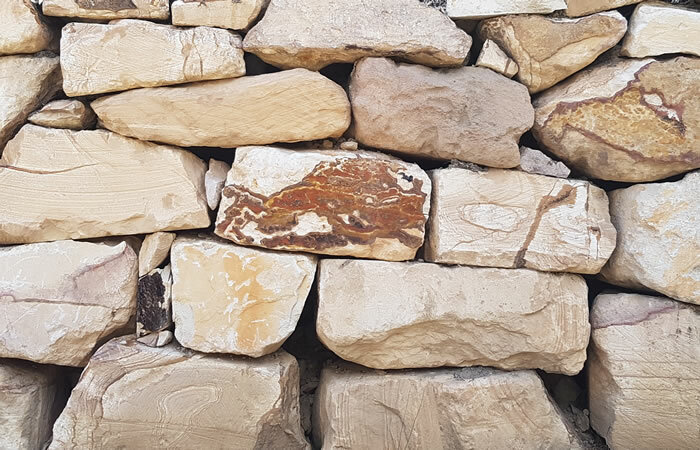 B Grade Sandstone is the cheaper option for any Sandstone wall as it has slight imperfections, although, to the untrained eye it looks almost identical to the A Grade Sandstone rocks making this a very good option for someone wanting a Sandstone retaining wall on a budget. 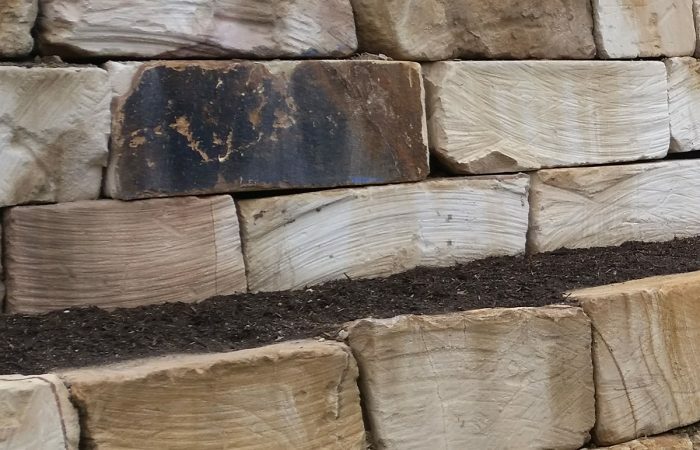 If you are not on tight budget restrictions and want the best of the best with a well finished look, then an A Grade Sawn Sandstone rock wall is the choice for you. 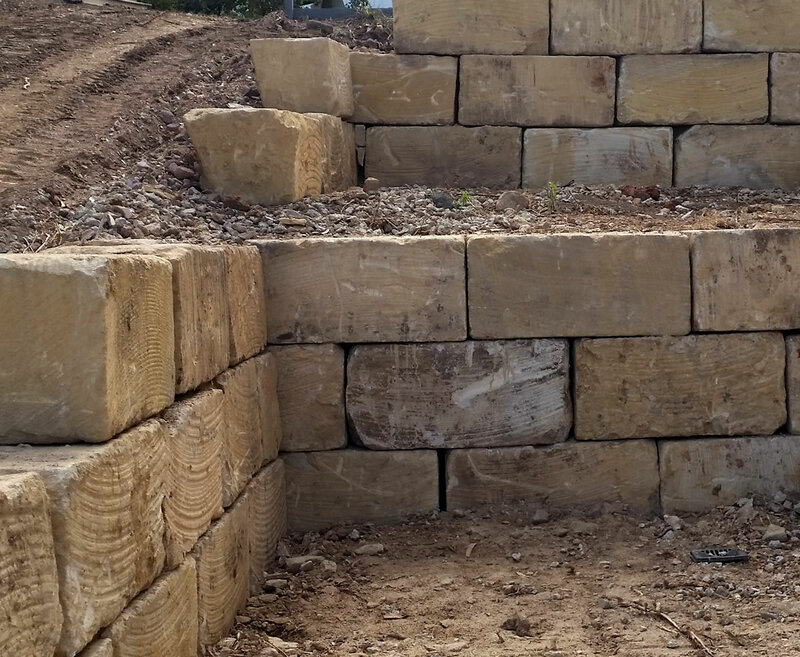 With a minimum of 5 sides of the rock sawn to a flat finish the rocks become building blocks to give you a tight fitting and very stable retaining wall solution, not to mention a prestige look to your home or business. Why get a rock retaining wall? Does this look familiar? 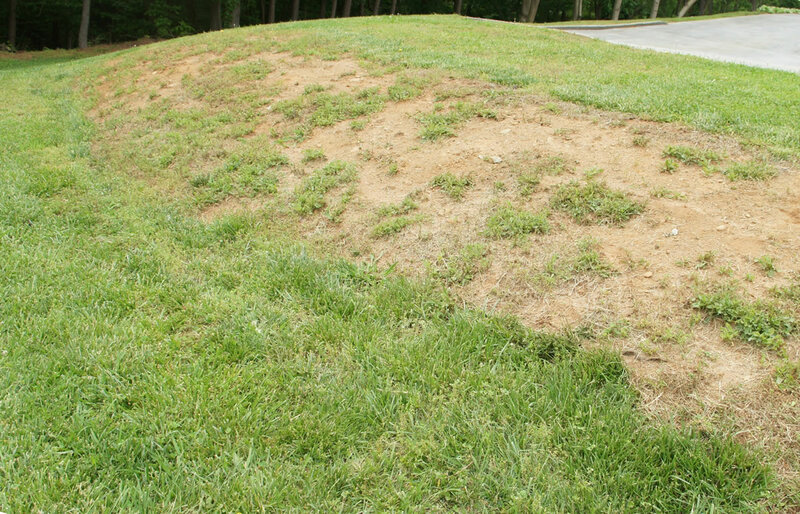 The main purpose of a rock retaining wall is to hold back dirt and rocks from falling down onto lower surfaces, but for homes on uneven ground, hills or slopes, they can help prevent soil erosion, maintain moisture and vegetation growth and control water drainage, therefore improving your landscape. Call us today so we can visit your site and assess how a rock retaining wall could benefit your home or businesses garden. We provide advice and services for all your landscaping needs and use quality equipment and materials. We also offer landscaping machinery hire. This includes machinery to assist you with your landscaping requirements including Bobcat hire and excavator hire with operator – regardless of the size of your project. If you require landscaping, retaining walls or machinery hire on the Gold Coast or Brisbane, please contact Wise Rockscapes today. We can provide you with a fast and affordable quote for your project. We look forward to hearing from you. Call Wise Rockscapes today. We're here to help. 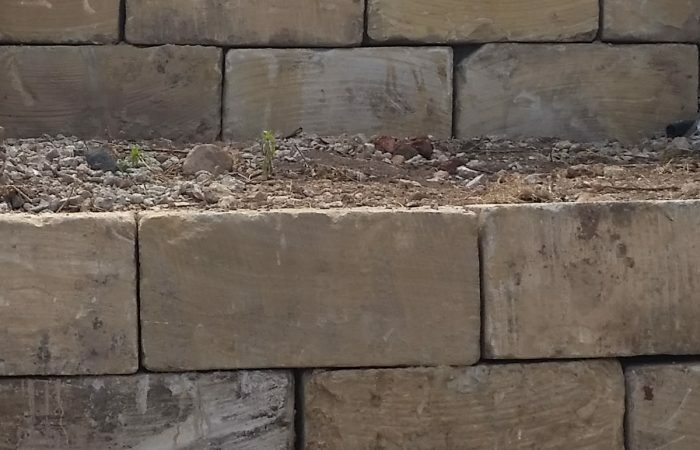 Wise Landscape solutions specialise in rock and sandstone retaining walls. Unlike some of the Gold Coast’s larger outfits, we are affordable and will work with you to find an option which suits your budget. You can rest assured that quality will not be compromised, as we only use the best products and are experienced masons. We build walls for houses that are engineer-certified. We can also replace existing retaining walls. 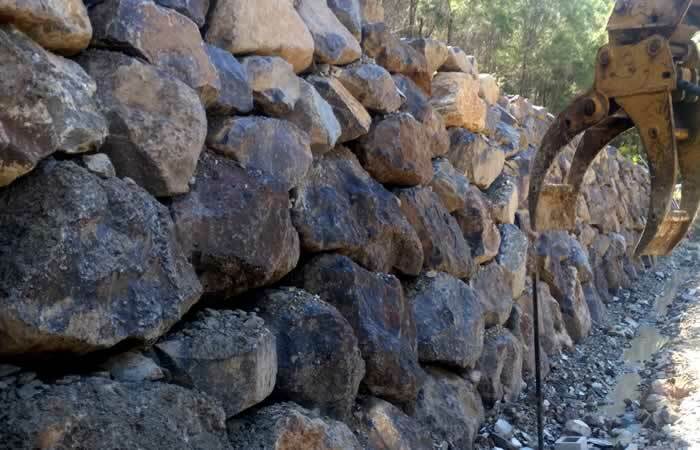 We build exceptional rock walls from sandstone boulders, A & B grade sawn blocks, bush rock, blue stone and hand-shaped stone mason walls. We can also take care of all other landscaping needs at the same time. Nerang, Advancetown, Maudsland, Gilston, Riverstone Crossing, Mount Nathan, Upper Coomera, Oxenford, Clagiraba, Guanaba, Tamborine Mountain, Pacific Pines, Helensvale, Coomera, Hope Island, Highland Park, Arundel, Willow Vale, Pimpama, Ormeau, Parkwood, Ashmore, Worongary, Tallai, Mudgeeraba, Merrimac, Augustine Heights, Currumbin, Logan, Reedy Creek, Springfield Lakes, Tallebudgera, Waterford, Yatala and Robina. These are our biggest clients but we service all the way from Ballina to North Brisbane, so get in touch today.